Brought Shiloh to work with me today. You can see she’s making good use of my computer bag. 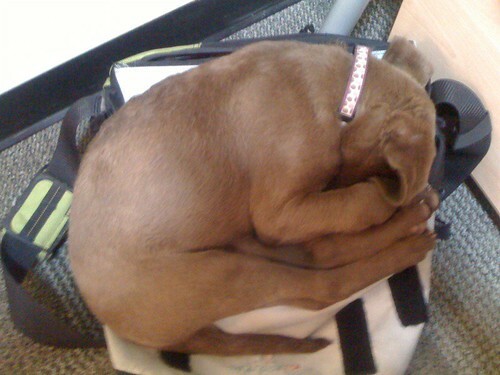 Puppy Nap.JPG, originally uploaded by RayRay20191.